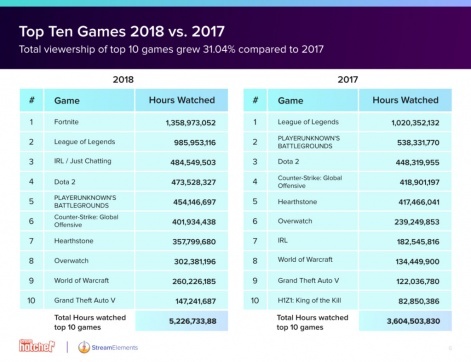 People really love watching content on Twitch, and 2018 looks to be its best year ever according to a report from StreamElements. The company, which creates apps and extensions for streamers on Twitch, released a report that contained data on the amount of time people watched various content on Twitch. According to the report, content on the platform overall experienced a 25 per cent growth from 2017. The report also included the 10 most streamed games on the platform. 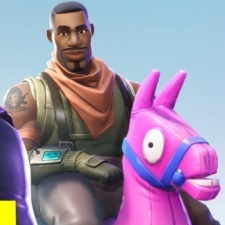 Naturally, Fortnite was the number one game streamed and viewed in 2018. YouTube Gaming and Microsoft’s Mixer platform also experienced a growth in viewership. YouTube had 2.3 billion hours for live content, while Mixer had 167 million hours watched in 2018. An important thing to keep in mind is the absence of IRL (in real life) streams that are missing from the 2018 chart report. In 2018, Twitch split the IRL category into several separate ones, including food & drink, and travel. If included, it actually makes up over 302 million hours.